In lieu of flowers memorial donations may be made to God’s Bible School and left at the funeral home. Lester D. Englund, age 91, of El Dorado Springs, Missouri, passed away on June 1, 2016. He was born to David and Leta Englund on November 1, 1924. Lester walked to and attended Liberty country school and later graduated from El Dorado Springs High School. On October 13, 1946, Lester married Mary Lucille Lines. The couple enjoyed fifty years together before Mary Lu’s passing. Lester and Mary Lu were the proud parents of three boys: Larry, Don, and Gerald. Lester and Mary Lu lived on a farm south of El Dorado Springs all their married life. Lester raised cattle and crops and later was employed by the U.S. Postal Service, retiring in 1988. He never retired from farming. He still had cattle and Belgian horses at the time of his passing. Lester was saved at an early age and remained committed to Christ until he was called to his Heavenly Father. 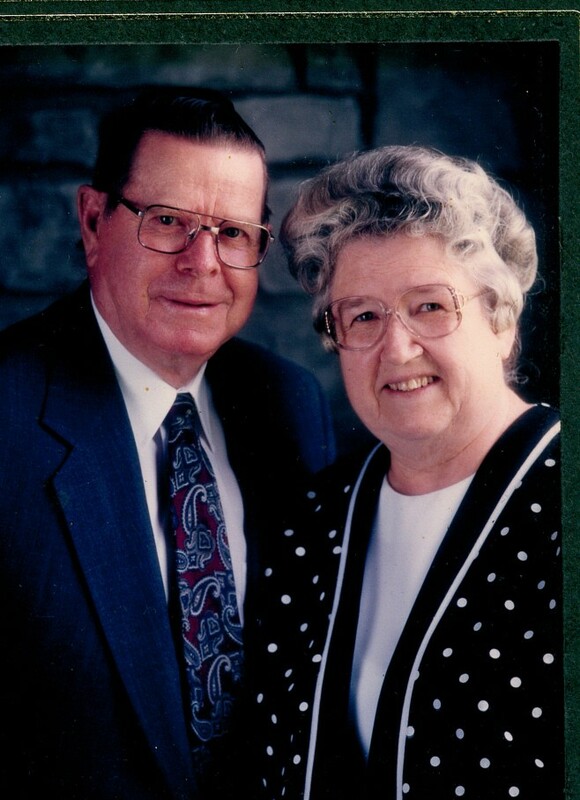 He often held leadership roles in his local church and served as a Sunday school teacher for over five decades. Preceding him in death were his parents; wife, Mary Lu; and his five siblings. Survivors include three sons: Larry Englund and wife Paula of Stockton, MO, Dr. Don Englund and wife Joyce of Overland Park, KS, and Dr. Gerald Englund and wife Kerrie of Neosho, MO; eleven grandchildren; twenty-four great-grandchildren; and two sisters-in-law: Emma Englund of California, and Nadine Rosbrugh and husband Elvin of El Dorado Springs, MO. Funeral services for Lester Englund were held on Sunday, June 5, 2016, at 2:00 p.m. at the El Dorado Springs Church of God (Holiness) with Rev. Silas McGehee and Rev. James Coleman officiating. Faith Trussell provided music. Burial followed in Clintonville Cemetery under the direction of Bland-Hackleman Funeral Home. Pallbearers were: Jeff Englund, Kendall Englund, Eric Englund, Travis Englund, Wesley Englund and Bradley Englund.